In Amos 3:7, God reveals that, “Surely the Sovereign Lord does nothing without revealing his plan to his servants the prophets.” When we see the actions that are happening in America, it is important to remember that God first said that it would happen. God has spoken many prophetic words through the late Kim Clement, who has now gone to be with the Lord. During a prophetic word shared in 2005, in Nashville, TN, Clement prophesied a powerful word regarding the Catholic Church. More than 100 years ago, the world was impacted by how the Holy Spirit was poured out during the Azusa Street Revival that took place in 1906. Now, only a year ago, Lou Engle orchestrated a powerful gathering at the Los Angeles Memorial Coliseum for the 100-year anniversary of the Azusa Street Revival. It was called ‘Azusa Now’. It was during this mighty event in Los Angeles that a delegation from the Pope attended the Azusa Now event to represent the Catholic Church. Catholic leader Matteo Calisi, with his interpreter to his right, spoke to Lou Engle and the many who were in attendance. He continues to speak repentance expressing these words, “We Catholics, we’ve received so much from the Azusa Street Revival, but we want to sow a debt, we want to ask you Protestants, we want to ask your forgiveness for not respecting the love of the law of Jesus; for not respecting you and showing love and generosity. In this humility. We ask that you forgive us in the name of Jesus.” As he continues to express his humility, he shares, “We want to kiss your feet, as Catholics and honor you with this gesture.” A powerful and holy moment ensues as the Matteo Calisi lays castrate on the ground while embracing the feet of Engle. Engle recognizes the significance of this moment and responds the same gesture in a powerful act of humility before the Lord. Matteo Calisi and his interpreter traveled all the way from Italy to what God had orchestrated in Los Angeles. It is important that no man knew what God was doing; not Clement, not Calisi, and not Engle. But, we must recognize the Hand of God and see how these powerful events transpire. Be inspired and lifted up as you see the full prophetic word delivered from Kim Clement, the full words from Matteo Calisi, and so much more. Also shared in this segment: Holy Spirit, prophetic word, prophecy, Kim Clement, forgiveness, repentance, humility, Lou Engle, and Azusa Now. Greg and John shared in this segment. In the Book of Revelation, God writes a letter to the Church in Thyatira. He writes specifically against the reality of Jezebel in their Church. ”Nevertheless, I have this against you: You tolerate that woman Jezebel, who calls herself a prophet. By her teaching she misleads my servants into sexual immorality and the eating of food sacrificed to idols.” This is a spiritual reality. It is not about the physical realm as one may assume. This is about a Jezebel Spirit, not a male or female person, but a spirit. God spoke through the prophet Kim Clementin 2005, that He was going to bring Jezebel down. We have seen the media up in arms about the transition to the current administration. Lie after lie has been promulgated against the realities of what is taking place. A similar sequence of events took place on the top of Mount Carmel when the false prophets of the false god, baal, stood up against Elijah. Regardless of what they said or did, it was only a matter of time before Elijah’s God was seen and recognized as the One and only True God. It is so encouraging to know that what is taking place in the nation is not because of any single plan from an individual, but solely by the Hand of God. See the full discussion as you are encouraged by God’s prophetic words of hope, and so much more. Also shared in this segment: Kim Clement, media, Jezebel, baal, false prophets, and newscasters. Greg and John shared in this segment. 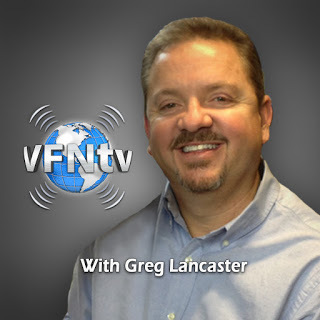 This is exactly how God has established VFN Kingdom Business and the purpose that it serves. We are called to be disciples of Christ and change the culture that we live in. In every culture of the world, culture is made up of 7 Mountains: Family, Media, Religion, Arts & Entertainment, Government, Education, and Business. It is so important that we get involved and do each of our part to carry out the plans and purposes that God has for us. See the full prophetic word from Kim Clement about what God is doing in this hour, why it is important for us to do our part in culture, and so much more. Also shared in this segment; Kim Clement, prophecy, prophetic word, Holy Spirit, 7 Mountains of Culture, missionaries, Babylon, light, and darkness. Greg and John shared in this segment. What is often surprising to realize about media, is that some people believe things simply because it was said on the news. Guess what? God has revealed prophetically that there is going to be a drastic change as was prophesied by Bill Yount. Yount has also prophetically declared that the present News Anchors would be replaced by God’s News Anchors. The same day that Greg shared this word to a group of National CTN Leaders, Roger Ailes, founder of Fox News, died. This is what the Lord is doing and very exciting. See the full prophetic word from Kim Clement, as well as other words about what God has and is doing in media, and so much more. Also shared in this segment: Saul Alinsky, mainstream media, prophetic word, prophecy, Holy Spirit, Roger Ailes, Fox News, TBN, and Trinity Broadcasting Network. Greg and John shared in this segment. Think about the importance of this reality. The nucleus of the family has suffered an onslaught of assaults. If you were the typical family of a man and a woman, with children, you almost felt out of place because it seemed as if everything was anti-family. The family is the core of what holds society together. If you believe the word of the prophet, then you get the prophet’s reward. This is so encouraging and inspiring to lock our faith into what God is doing. Hear the full prophetic word from Kim Clement, and so much more. Also shared in this segment: divorce, family, sons, daughters, parents, prophecy, prophetic word, Holy Spirit, Kim Clement, and hope. Greg and John shared in this segment.